While browsing the Sylvan Dell booth at the annual Texas Library Association meeting, I was immediately captivated by the cover of Meet the Planets, illustrated by Laurie Allen Klein. I picked up a sample copy and was overjoyed to discover the text by John McGranaghan (who wrote Saturn for My Birthday) was as lively and entertaining as the illustrations. 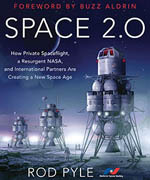 The book uses the creative backdrop of a Favorite Planet Competition. The host of the show is Pluto, and the eight planets of the Solar System are the competitors. Each planet is aptly described as part of an announcement by the host. For example, Pluto says of Venus, “She’s bright, she’s beautiful, and she’s smoking hot.” He then adds a few pertinent details (temperatures of over 840 degrees Fahrenheit) and concludes with, “As the brightest planet seen from Earth, she’s often mistaken for a star…welcome Venus! The illustrations are full of “hidden” pictures and attributes such as Venus’ pose emulating that of the famous statue of the goddess. The major moons of each world are also included in the illustrations. I especially enjoyed the artists depiction of Callisto as a black woman and Europa as a girl wearing a scarf with a pin showing a white bull (representing Jupiter). 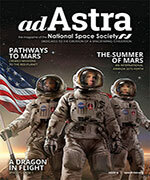 Ferreting out all these rich mythological and historical details (including astronomers and spacecraft) are sure to provide hours of entertainment for curious kids and space enthusiasts alike. When the reader finishes the story, they can immediately share what they’ve learned by doing a survey of their friends and family to discover which planet should win the favorite planet award. The other activities are more like a test than an exploration (determining place value and answering true/false questions), but should serve to reinforce basic concepts and integrate new information. More activities are available on the publisher’s website. Meet the Planets provides a delightful pageant of the planets for the eyes and the mind. 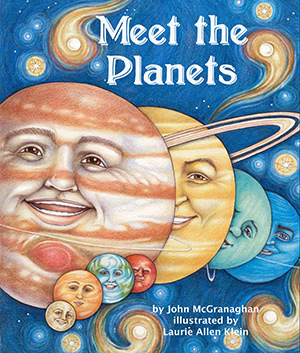 I urge all parents and teachers to use this book to introduce all eight planets dressed in their Solar System best. I don’t know which planet you will choose as your favorite, but this book is a winner!